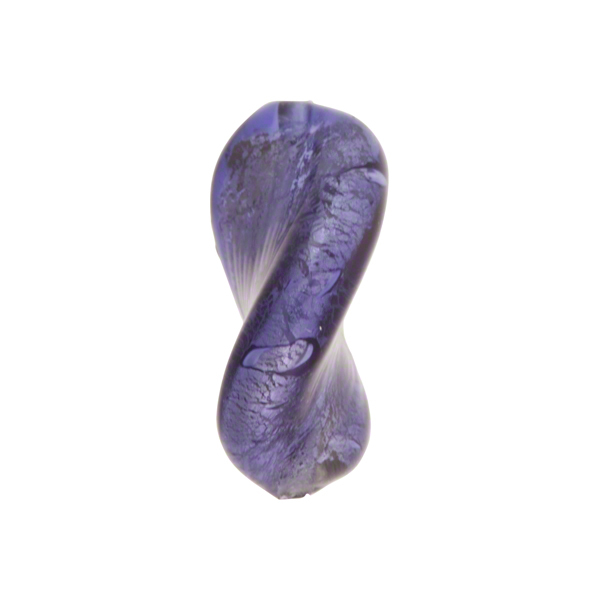 Add a little color to your jewelry with our Venetian glass bead of transparent glass encasing white gold foil. The size is 20mm long and about 14mm across with a 1mm hole running the long way. They are thin about 5mm thick and light, good for earrings and bracelets! 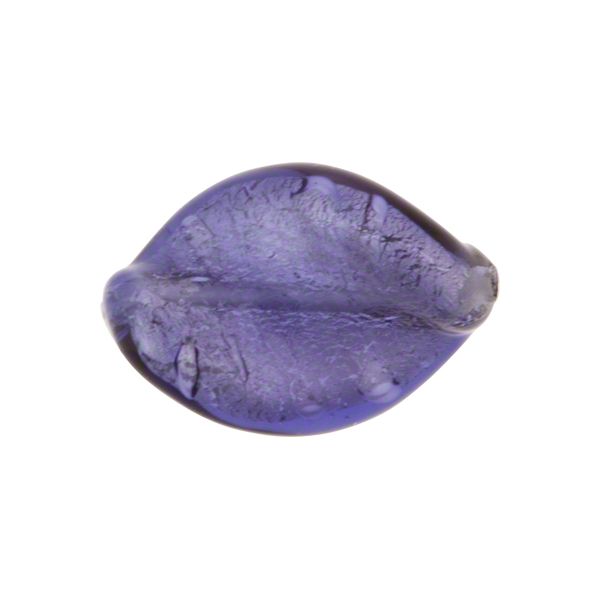 The blue inchiostro, is a rich plum color which is enhanced with the white gold foil.